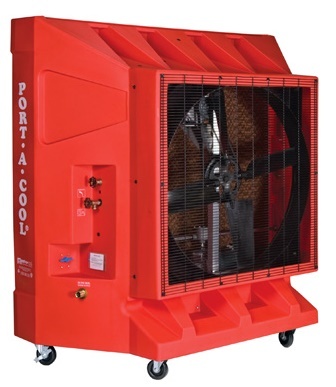 Air Delivery 14,500 CFM cools 3500 sqft. 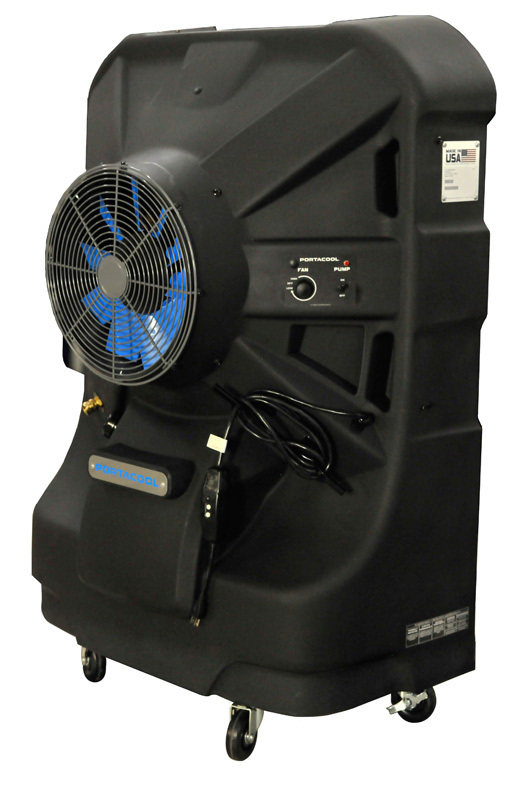 67 gallon reservoir or direct hose connection. 115 volt, Variable speed and Digital Control Panel with thermometer, timer and low water alarm. 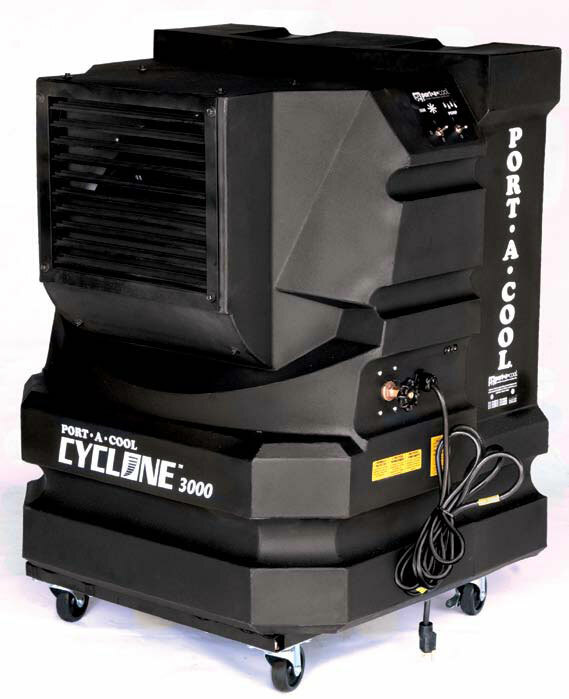 The Port A Cool Hurricane 3600 is a great unit for a warehouse, large indoor or outdoor area. 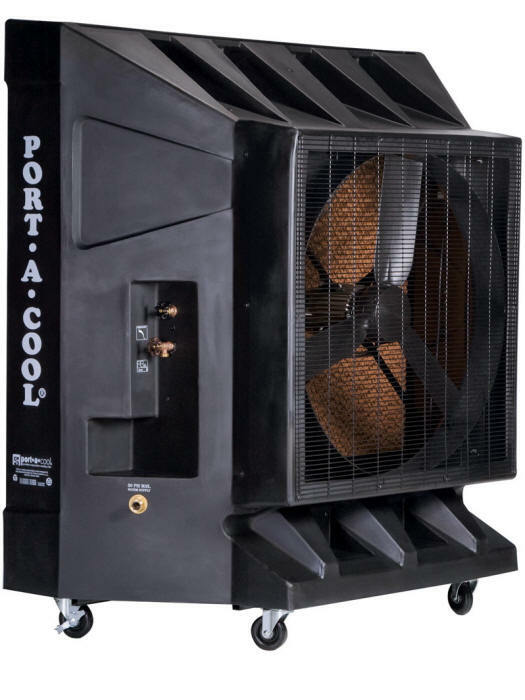 The Port A Cool Hurricane 3600 is manufactured by Port A Cool in the USA. Shipping is Free and the lead time is Normally 2 – 5 Days. 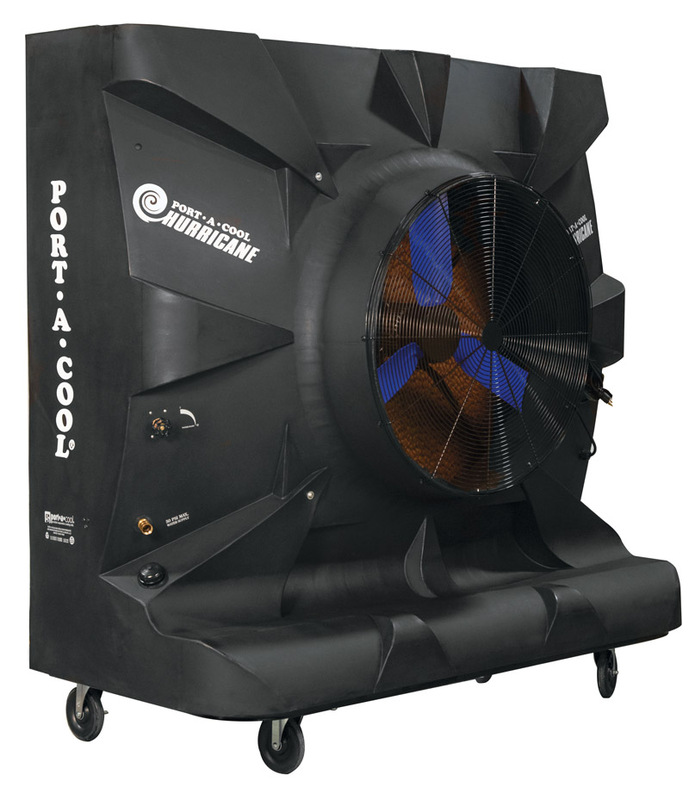 If you wish to inquire about or purchase a Port A Cool Hurricane 3600, please note item code: Port A Cool PACJS3600.